How To Ingest Colloidal Silver? How To Ingest Colloidal Silver? Many ways! Pick Your Favorite! We often are asked how to ingest colloidal silver so here are some of the ways! If you're looking for the short answer, this is it....if swallowing, swish it in your mouth for awhile. Or use a spray bottle to apply to a bandage or wound. 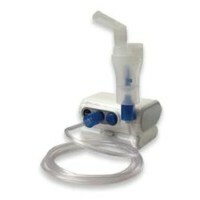 Breath it in using a nebulizer so long as the machine doesn't make steam. You can use a straw to act as a dropper. But if you're more inclined to take a detailed look at how to consume colloidal silver, read on! Why detailed? Why not just swallow a certain dosage? Because we can work with our physiology to maximize the bioavailability and effectiveness of our product! That way we get more bang for our hard earn bucks! 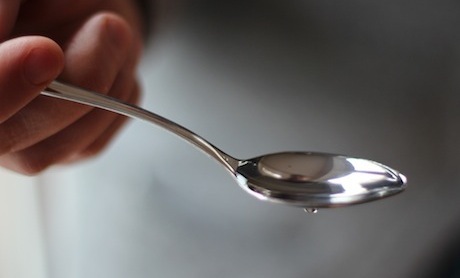 How To Ingest Colloidal Silver - Swallowing....Swish It First! When it comes to deciding how to ingest colloidal silver is to swallow it. Pretty simple! But wait! We can do it in a way to maximize the effectiveness of our product. Upon swallowing the ionic silver present in most colloidal silver solutions, some will immediately come into contact with the hydrochloric (HCL) acid that normally exists in the stomach, to digest food. The chloride ion from the hydrochloric acid combines at once with the silver ion, to form silver chloride, an insoluble silver compound. NOTE: Silver chloride aids in the removal of heavy metals like lead and mercury! So some of the 100 trillions of ions will help with heavy metal removal and some with killing pathogens. This is one reason we call colloidal silver a gift of nature because of how its many forms have positive benefits! While body electrolytes can release a few ions of silver from metallic silver it is far from the benefits of the direct oral intake of TRILLIONS of silver ions establishing a therapeutic dose in the blood! THIS IS WHY OUR PURE IONIC COLLOIDAL SILVER IS FAR SUPERIOR TO OTHER PRODUCTS RELYING ON METALLIC SILVER! At our concentration of nearly 6PPM, there are over 100 trillion ions/tablespoon, a number comparable the number of cells in a human body! Metallic ions, either free or disassociated from dissolved soluble salts are both absorbed sublingually and/or isolated by ligands in the saliva, usually metalloproteins. This is the main reason you should swish the Colloidal Silver around in your mouth before swallowing it. Metallothionein (MT) is a relatively small molecule that binds heavy metals including silver, iron, zinc, cadmium, and copper, and is made by most of the cells in the body. Your saliva has over 200 different proteins and one third of body proteins are metalloproteins which carry metallic ions. Therefore, unstable, reactive ions (missing one or more electrons) can be transported past the stomach and thru the circulatory system without local reactions. Metal ion substitution permits even a zinc metalloprotein to take up the silver ion and release the zinc ion. The free, ionized zinc, which would be toxic if permitted to accumulate, binds to a metal regulatory element on the promoter region of the metallothionein gene and "turns on" the synthesis of more metallothionein. waste. Silver chloride that does get absorbed through the lining of the GI tract, into the bloodstream, will aid in the removal of heavy metals such as Lead, or Mercury, before being removed by the kidneys, and passed out of the body, in urine. Next on the list of how to ingest colloidal silver is sublingual absorption! 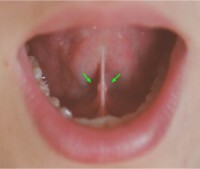 The thin membranes under the tongue will pass the small particles and ions directly into the bloodstream. Once in the blood stream, the ions and nano-sized particles will immediately circulate throughout the body. As above, any silver chloride formed will assist in the removal of heavy metals before being removed from the bloodstream. When taking colloidal silver into your mouth, let it sit there quietly before swishing it around. Give the ions a chance to be absorbed first, then swish, then swallow! How To Ingest Colloidal Silver - Rectally! Third on the list of how to ingest colloidal silver is rectally. Once in the intestine the colloidal silver is absorbed directly into the blood, and is circulated throughout the body. You can find an application online for injecting the colloidal silver rectally. Of course, hygiene is critical so be sure the applicator is only used for this purpose and cleaned after use! How To Ingest Colloidal Silver - Spray It On! Fourth on the list of how to ingest colloidal silver is to spray it on. Well, that's not really ingesting, but works great! You can spray it directly on a wound, burn, ringworm, or infection or spray it on a bandage or gauze pad. Use it like you would use an antibiotic ointment! Or use it as a throat spray! One customer told us he uses a perfume atomizer to create a mist for inhaling! His creativity is inspiring! Author of "Silver Colloids: Do They Work," Dr. Ronald Gibbs, studied the effectiveness of colloidal silver on common bacteria, finding that colloidal silver eliminated bacteria in under one hour. Less concentrated mixtures also performed well, taking longer to work. The results of his study indicated that silver interfered with the cell reproduction in the pathogens, killing the bacteria's ability to sustain itself. This is how colloidal silver avoids problems with pathogens outsmarting antibiotics. All that is needed is a small spray bottle, easily available in any big box store or dollar store. Perfume atomizers can be found on ebay for several bucks. Simply refill as needed from your bottle. But did you also know you can spray it on to kill body odor? Or spray it on towels or clothes to freshen them up! Spray it in shoes! Colloidal silver is a healthy natural way to reduce or eliminate conventional deodorant usage. How To Ingest Colloidal Silver - Nebulizer! Fifth on the list of how to ingest colloidal silver is through the lungs by using a nebulizer. This converts the colloidal silver into micron size droplets, allow you to easily inhale these droplets deep into the lungs. The small size of the silver particles and silver ions will pass through the lung tissue, directly into the blood stream. Be sure your nebulizer doesn't use steam. An inexpensive way to atomize colloidal silver is to use a perfume atomizer. The droplets become a mist that can be inhaled, although not as deeply as when using a nebulizer. These perfume atomizers can be found on ebay for several dollars. How To Ingest Colloidal Silver - Drops! Last on this list of how to ingest colloidal silver is to you drops, whether it be using an eye dropper or even just using a drinking straw. With the straw just dip one end in the colloidal silver hydrosol, then cover the other end with your finger tip, creating a seal, then lift the straw up. The colloidal silver will remain in the straw until you break the seal. Use these drops in the eyes, ears, nose, on burns, wounds, etc.... Humans or pets!